Every trip to the east coast starts in Centre de Flacq! This first stop is a must if you want to immerse into the local lifestyle and visit superb temples. You can also walk through the town’s market, where local farmers sell the most attractive products at low price. Small and colourful hand-woven baskets are sold along the walkway. The fascinating temple of Poste de Flacq is only a few minutes away. Set on a tiny island, which is connected to the mainland by a small bridge, this all-in-white temple is totally worth a visit! Spreading over 497 hectares, Bras d’Eau National Park offers a wonderful excursion in nature, where you can discover local species, such as a variety of endemic plants as well as antthrushes, Mauritius kestrels, woodpeckers and Mauritius parakeets. In the distance, you can also see the colourful sails of regattas. Drive along the coastal road up to Poste Lafayette and stop at the public beach to watch kite-surfers in action. The most beautiful beaches of the island are found on the eastern coast, including a 10-km long beach stretching from the northern tip of Trou d’Eau Douce to Pointe de Flacq. The white sand and crystal lagoon views are simply breath-taking! A distinctive place where art, gastronomy and history meet, Victoria 1840 – Le Café des Arts is a destination in itself. As they roam around the history-laden walls, gaze at Maniglier’s paintings and taste the fine cuisine, visitors relish in a unique experience, which ignites the senses and delights the tastebuds. Jocelyn Gonzalez, the householder, shows them the place with typical enthusiasm. Guest can expect an unforgettable time! What would the eastern coast be without the Île aux Cerfs? The most popular and best-known destination in Mauritius by far, Île aux Cerfs is a must for guests staying on the eastern coast. Many visitors fell in love with its picture-perfect scenery, its white powdered sand and turquoise lagoon. The island also features an ideal diving spot for those who want to swim among corals and tropical fishes. 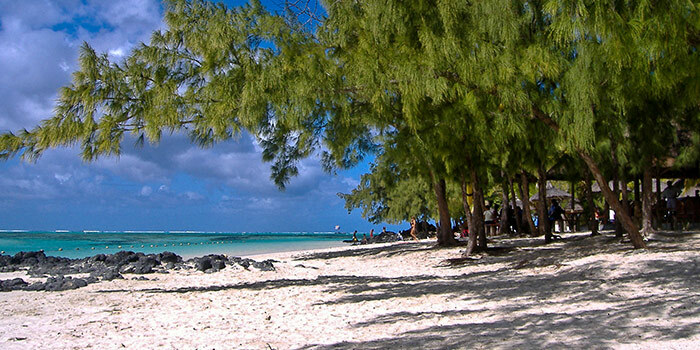 Beaches, temples and a national park: the East coast of Mauritius has a beautiful soul! On the outskirts of Veranda Palmar Beach, guests can revel in exceptional landscapes that will make their stay even more sensational. Once again this year, the magic of the end of year celebrations overwhelms Heritage Resorts. 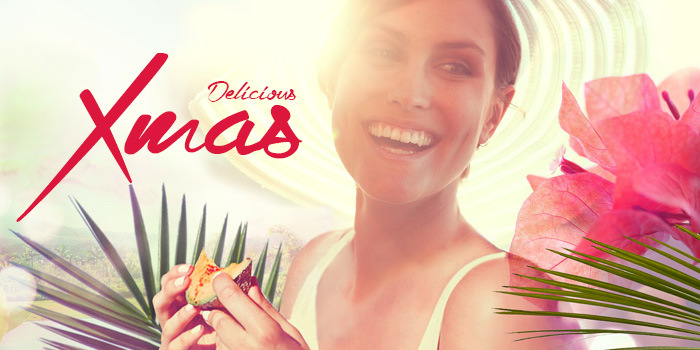 An entrancing decor, a glamorous atmosphere, lavish dinners and prestige are this Mauritian hospitality brand’s key ingredients to close the year 2015 under the best auspices. Let the party begin! Inspired by Mauritian culture and traditions with a touch of glamour and exoticism, end of year celebrations at Heritage Resorts are simply unforgettable. For Christmas and New Year’s eves, Heritage Resorts’ hotel restaurants as well as the Château de Bel Ombre and the C Beach Club will indulge guests with sumptuous dinners. To celebrate Christmas in a glamorous and chic setting, welcome to the Château de Bel Ombre! Our guests will revel in the elegant atmosphere of this outstanding mansion and appreciate the traditional and authentic Christmas Eve menu featuring local ingredients. The magic of Christmas will also spread to the C Beach Club, where visitors are invited to a lunch buffet and beach activities during the day, and to a delicious Christmas dinner in the evening. What’s more, a special evening on the theme of “Mauritius at your table” awaits visitors. This will be a casual dinner featuring local flavours, a campfire and a sega dance show. Gin’Ja, Heritage Resorts’ famous pan-Asian restaurant, will offer a delicious wine pairing menu accented with hints of chocolate: pure delight for your tastebuds! For a total change of scene this season, Boma, Heritage Awali’s most African restaurant, invites guests to a fine African buffet along with a sundowner from the tip of Frederica Nature Reserve. A memorable time to look forward to! Heritage Resorts dressed up to the nines! On New Year’s Day, Heritage Resorts will treat its guests to a six-hand menu prepared by Heritage Resorts’ three Executive Chefs and served at Anabella’s, Balafon and the C Beach Club. This promises to be a palatial dining experience that will satisfy the most discerning palates. The Château de Bel Ombre will also host an exceptional gala dinner with a live band to accompany the exquisite dishes prepared by Chef Govinden. While Heritage Golf Club will host a barbecue dinner at the Steak House, the C Beach Club will invite guests to a colourful “Tutti Frutti” evening, with a DJ from Paris at the decks. At Heritage Resorts, kids and teens are not left aside! Timomo Kids’ Club invites children to decorate the Christmas tree and meet Santa Claus at a funfair where plenty of gifts await them. Other not-to-be-missed holiday events include Christmas cooking workshops, Christmas tale reading and stargazing, which will make Christmas Day even more magical. Teens will love the “no parent” party with the Cool Teens Club’s DJ as well as the beach movie night to end up the year in a spectacular way! To bring a sweet ending to the year, Seven Colours Spa will delight its guests with special offers, such as laughing therapy, a delicious coconut treatment followed by a lush cocoa massage or a Christmassy hand and nail ritual. These are precious moments to share with mothers or daughters. With Heritage Golf Club’s holiday offers, guests will be able to play golf at night, learn how to play footgolf or get involved in individual competitions. Hitting the little white ball will never be so festive! Surely, the end of year celebrations at Heritage Resorts are exceptional events that you don’t want to miss! We wish you a happy holiday season!